드림USN > 공지사항 > Secure Technology Alliance, Securing Digital Identity Symposium 2019 12.04. 2018. 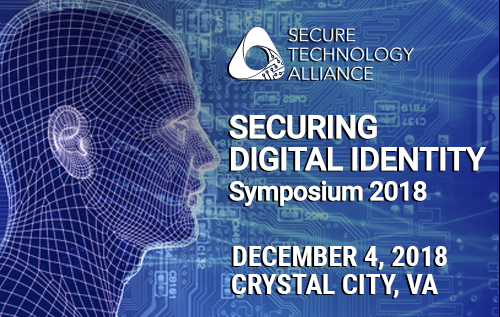 Secure Technology Alliance, Securing Digital Identity Symposium 2019 12.04. 2018. This one day event will bring together identity and security industry experts from leading organizations to discuss the state of identity, authentication, identity proofing and mobile identity. The format will be mixed with prepared presentations, panel discussions, and group discussion in a open, interactive setting held at the Alliance’s National Center for Advanced Payments and Identity Security in Crystal City (Arlington), VA. Registration is Limited - Register NOW! Join us for a symposium featuring experts who will explore, explain, debate and share their knowledge and experiences about today’s complex world of digital identities and how they are used for strong authentication and remote authorization purposes. Today’s rapidly growing online environment emphasizes the increasing need for secure identification and strong authentication for consumers, businesses and public services. From governments to healthcare to commerce or social media – the risks of identity fraud are imminent. Attend this one-day event to learn what today’s digital identity solutions and authentication technologies can do to help, what challenges businesses face in balancing security vs. convenience, what policies are either in place or being developed that help guide common practice, and learn what standards are doing to drive increased ubiquity and interoperability across solutions. Identity Proofing – The Cornerstone of Strong Online Identities: Identity Proofing is the cornerstone of strong, trusted digital Identities. Adoption of advances in identity ecosystem technologies can fundamentally strengthen trusted digital identity and enhance quality of life, service, and user experience. 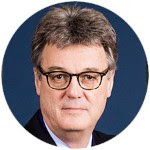 The panel will highlight policy changes supporting opportunities for adoption of new capabilities in public and commercially focused proofing technologies and services. The panel will provide participants perspectives and use-cases to clarify authentication considerations, risks elements, and programmatic concerns across a diversity of identity proofing solutions. Solutions discussed will span from low to highest levels of assurance including trends in data-driven practices, mobile capabilities, and kiosk/machine approaches. How Are Identity Attributes Used to Create Authentication Factors? This panel session will explore the many identity attributes that can be used to create authentication factors. What are these identity attributes? How do different organizations manage authentication using these attributes? What attributes are used, how are they managed, and how strong are they? 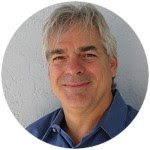 Using Authenticators to Manage Risk: In today's business and commercial applications, identity assurance is mostly an exercise in risk management. Many, if not most, security protocols in use by organizations conducting business online really do not know that the online credential being utilized is appropriately associated with a specific person. Join experts from the mobile and IoT industries as they discuss the impact these worlds have on the burgeoning identity universe. As mobile devices increasingly dominate how end users access online services and resources, what are the new capabilities these devices deliver that can help strengthen online identity and improve assurance levels. This panel concludes the primary event topics and takes the discussion into the future and discusses where the universe of digital identities is headed. As technologies become increasingly sophisticated, as practices and understanding advance, and as exploits become increasingly commonplace, what does the future hold? Click HERE to view the draft agenda online - check back to see the updates as speakers are announced. If your business has an online presence or if you rely on other identity management services to guide your security decisions, the Securing Digital Identity symposium is the place where you can learn about this important field, connect with others who share your concerns and needs, and meet the experts who can help you with continued understanding or who can help plan your course of action. Share This Email! | Share the Savings!